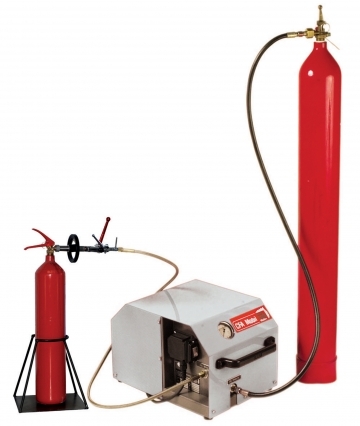 Mobile carbon dioxide filling unit designed specifically for occasional filling of 2-30 kg CO2 extinguishers from medium pressure tanks with liquid CO2. 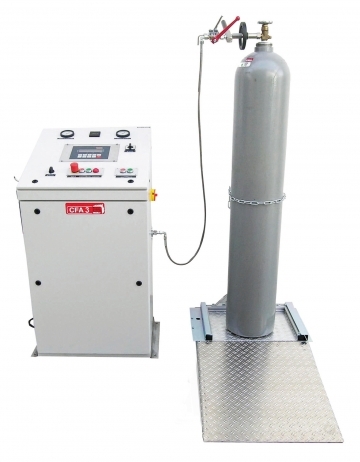 Carbon dioxide filling unit designed for refilling 2-45 kg CO2 extinguishers from medium pressure tanks with liquid CO2. 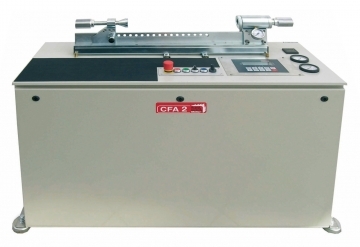 Carbon dioxide filling unit designed for refilling 2-6 kg CO2 extinguishers and cartridges from medium pressure tanks with liquid CO2. 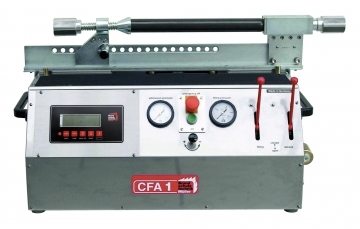 Carbon dioxide filling unit designed for refilling 2-6 kg CO2 extinguishers and sparklets from medium pressure tanks with liquid CO2. F3 filling head for CFA 1D and CFA 2D CO2 filling stations for fire extinguishers and cartridges. Digital floor scales for filling fire extinguishers up to 30 kg.